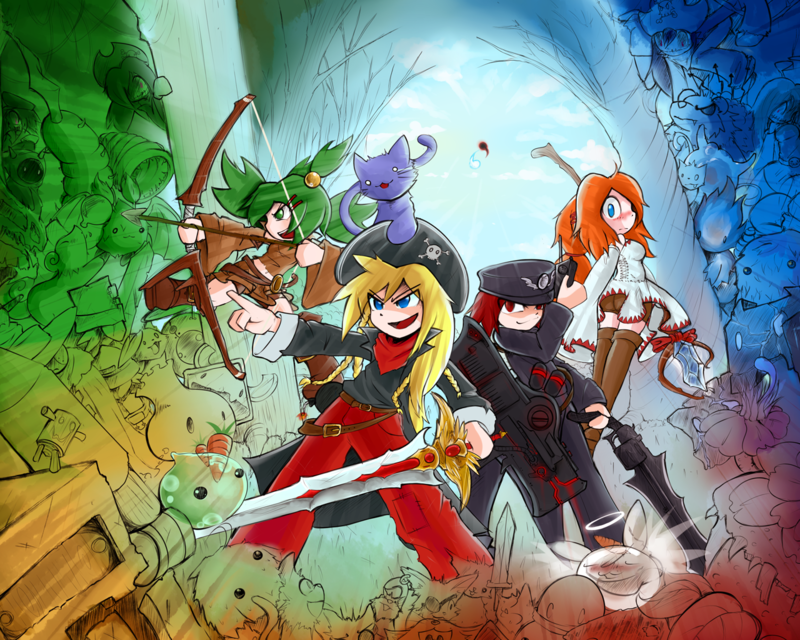 Hay guys, the EBF4 cover art is finally finished! It was done by long time fan of the series ptolemaiosLS, who also did the crests for the Mother Earth and Absolute Zero spells. Here’s a wallpaper pack you can download. 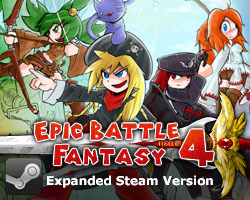 This entry was posted in Epic Battle Fantasy 4, Game News on February 17, 2014 by Matt Roszak. No words can describe the awesomeness. When I get outta this airport I’m downloading that wallpaper right away. And all weapons are drawn from a side. 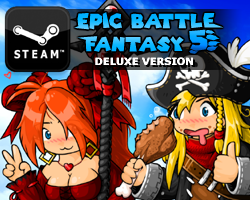 When… WHEN will people learn to rotate weapons and other items in 3D space? !